Best off-the-shelf cover for Echelon? Getting our 94 out of storage today and know the cover has seen better days. 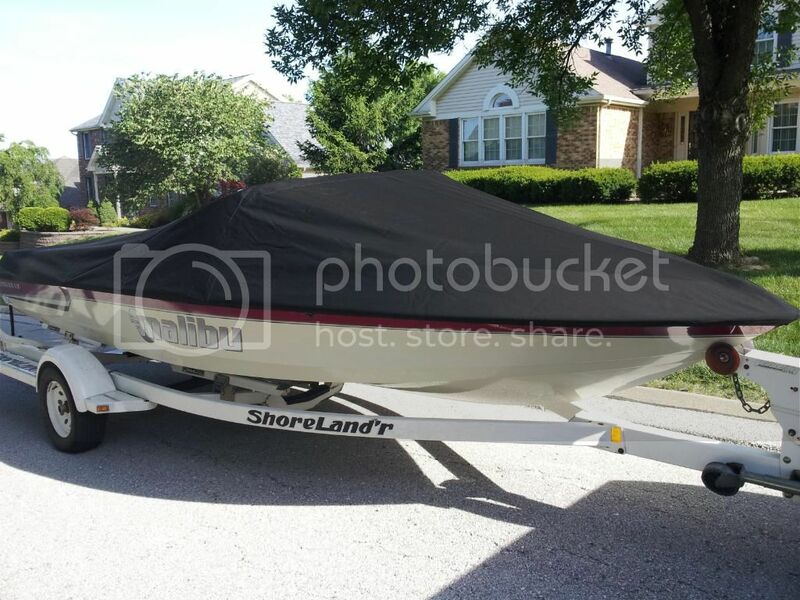 Boat sits in driveway in Illinois from May to September and is partially shaded. While we let it air out after using it, we still get a good amount of mold on underside of cover. 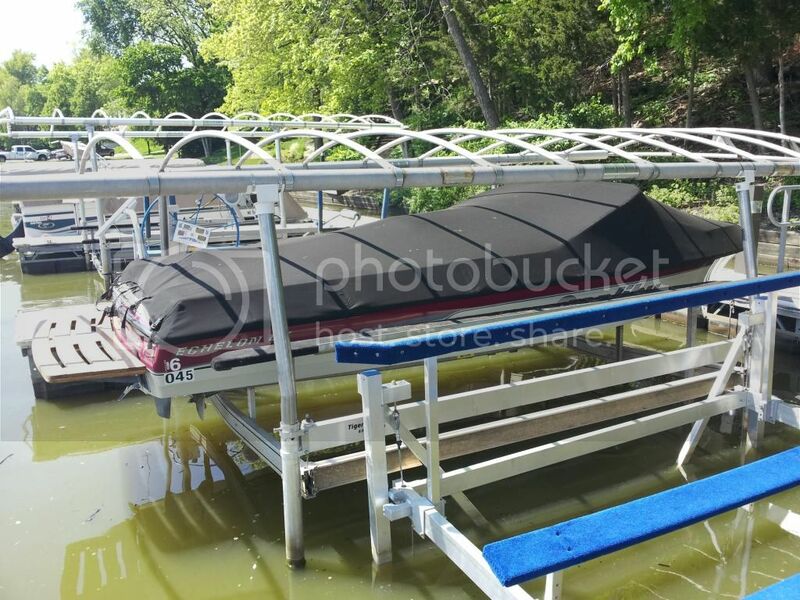 That seems to weaken the cover (not to mention the funk smell in the boat!) to where the cover only lasts for two seasons! We've gotten a Classic Accessories cover from Farm and Fleet because it's the only place that seems to have covers AND CA covered a warranty claim when after just one year, our cover shredded to pieces during the Fall storage trip. 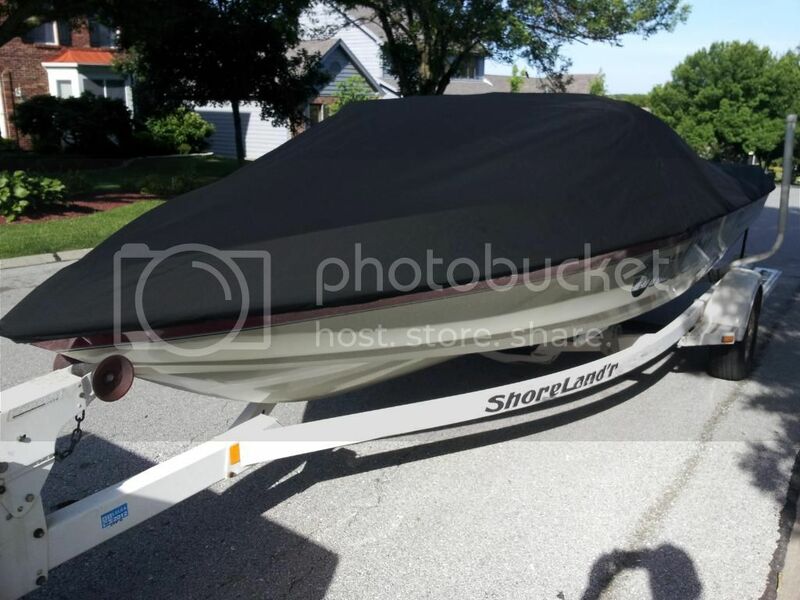 There are no snaps on the boat...so we use this style cover that has the straps that go under boat. We put a piece of PVC pipe on the tow pylon and then a use an old table by the back seat to create some lift points so water doesn't puddle. 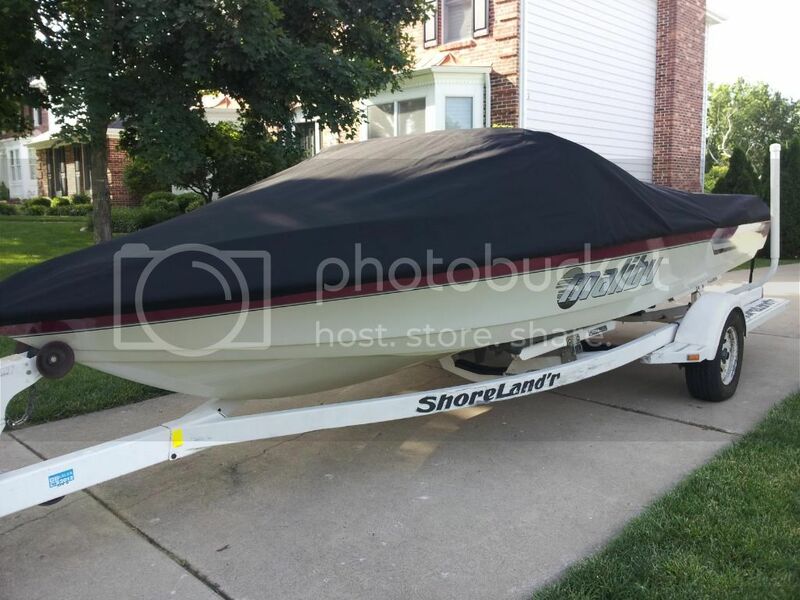 Looking for others recommendations on a cover that lasts longer, breathes, and covers from bow to cover the swim platform. I'd be good with spending double the cost of a Classic Accesories cover if it lasts and doesn't smell. Sorry - forgot to add - Sunbrella - breathes and is water resistant. My Black cover from him is over 7 years old and is in great shape. I didn't have the budget way back when and ordered two covers to test--a Taylor Made and a Carver--around $200 each. Both are advertised as NOT covering the platform, but both do. Taylor Made had a lightweight and light grey colored material that seemed fine, but I kept the Carver that was a bit more robust with a thicker more woven red material that matched the boat. I figured it would last longer. The windshield pocket on both is not exactly right for our boats, the Taylor being a slightly better fit. The Carver pocket is further forward and likely fits the Nautique 196 really well. I did make two simple supports out of pvc that go across the boat between the front and rear interior grab handles with an arch to them. 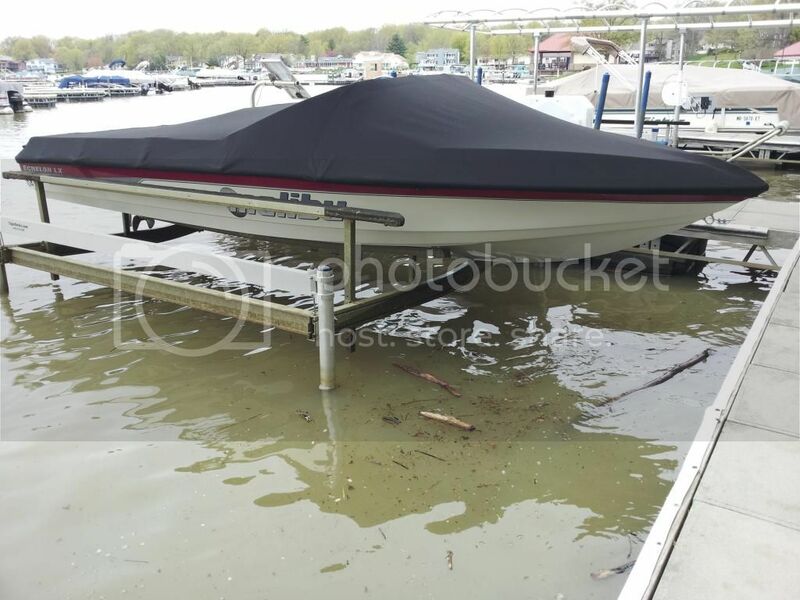 I did that because any standing water will make that area of the cover lose it's water repellence very quickly and you can't tighten the covers enough to keep water from pooling in the rear corners of the boat. My cover is 5 years old now and not really water repellent any more. It did have a winter outside and I made a mistake with water proofing product at one point. I will be reapplying 303 repellent again this spring and see if it helps. There are no worn or shredded areas, and none of the tie down loops have ripped out or broken yet. Been pretty good for the price. When it starts to go I'll be ordering an Evolution. 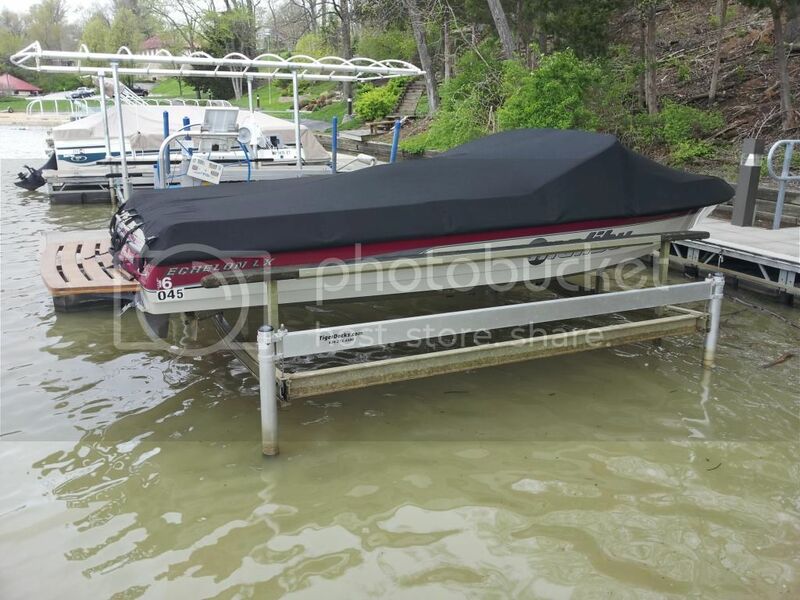 One more note--the covers I mentioned cannot be used as mooring covers, even on a lift. 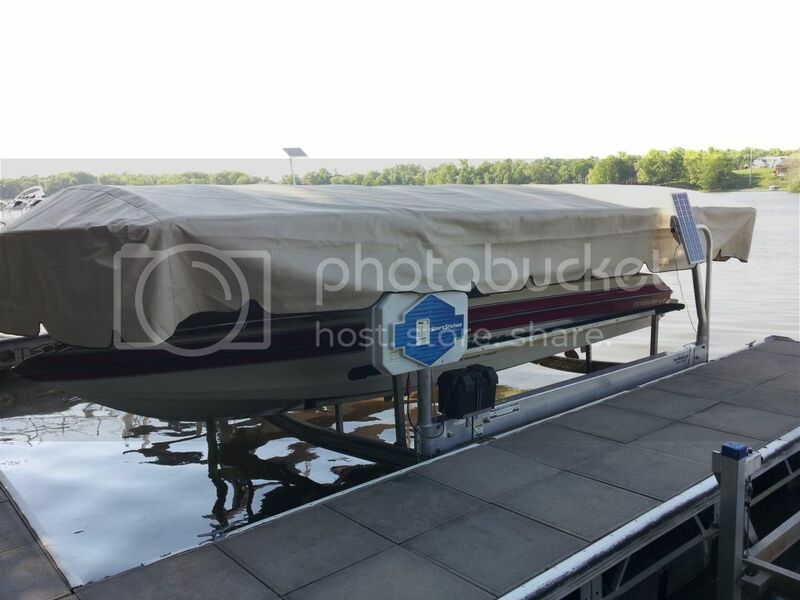 The rear of the cover wraps all the way under the platform and ties forward to the trailer. The side loops also pull down to the trailer frame. 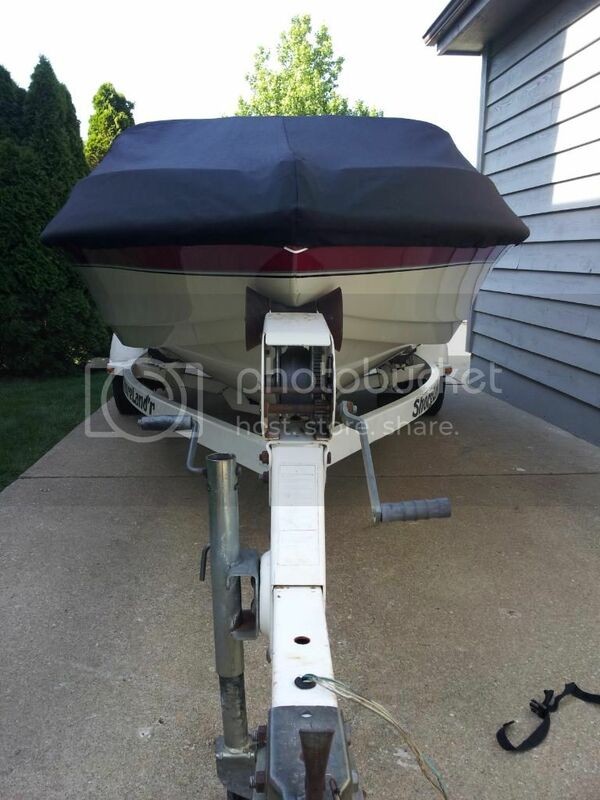 Those could go under the boat to the other side, but that's a PITA and the rear still has nothing to pull tight against. 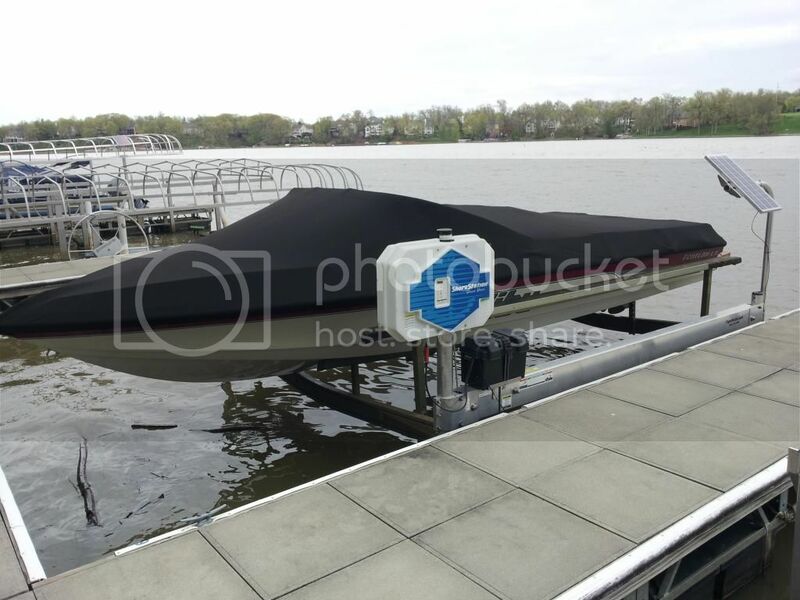 The Evolution has hooks that grab under the rub rail and pulls tight with straps to the grab handle at the rear of the boat, so it can easily be used on the water or on a lift. 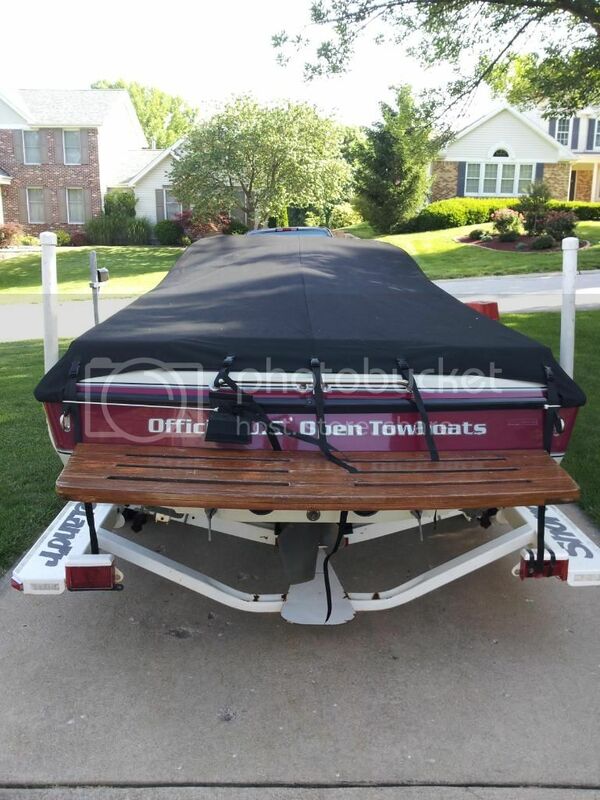 It does not cover the transom or the platform but Evolution sells skirts and platform covers if you need them. There is one for 350 and one for 550. You get what you pay for! Cory and Evolution covers is the only way to go. Trust me! Another vote for evolution covers! I now have a canopy which I love!